Indonesia (MNN) – Yesterday we shared details regarding Indonesia’s jump from #38 to #30 on Open Doors USA’s 2019 World Watch List*. Today, we are talking to FMI, a group that looks to pastors and church planters on the ground. “We know the need for the hope and truth of the Gospel is great. It’s universal. We don’t need a world watch list to tell us about the need. But what the world watch list does is alert us to those areas where there are the greatest threats to the Gospel’s impact on society, where the persecution of Christians, the discrimination against them is greatest. And once we know that, we can see if there are significant opportunities for us to get involved at some level in those places,” FMI’s Bruce Allen explains. A couple of years ago, one of Indonesia’s politicians found himself imprisoned on charges of blasphemy against Islam. The imprisonment came across as a victory for Islamic extremists. Since then, religious radicalism has been heating up against Christians. In late November 2018, the Indonesian government released a blasphemy app called “Smart Grip” (locally known as “Smart Pakem”) through Google Play store. The app is meant to streamline blasphemy and heresy reports in the Jakarta area. Learn more about the app here. It is clear Indonesian society has been shifting with regards to radicalism. “One of the disturbing things I’d say that we’ve also seen in this past year is a new type of terrorist cell that’s emerging in Indonesia; the family. A little more than half a year ago there was a coordinated attack against three churches, in the city of Surabaya, they were all carried out by one family. Mom, dad, and four kids. That was a new thing and really disheartening to see young children, teens involved in this terrorist activity with their parents. And that has been one of the factors that has caused that drop from 38 to 30,” Allen recalls. Allen says aggressions against Christians and other minorities can vary depending on the island. Some islands feature more or less religious minorities and radical Muslim pockets. “Having these islands creates an interesting social dynamic of how you get subcultures in each place. I would say I notice an increase in threats against Christians across the country, but it’s in pockets,” Allen explains. Yesterday we shared a little bit about the machete-wielding radical Muslims targeting Pastor Yudianto’s congregation. As the Christians were meeting new believers and discipling them, they were surrounded by the aforementioned individuals. These radicals made it clear the Christians were to stop there work there. 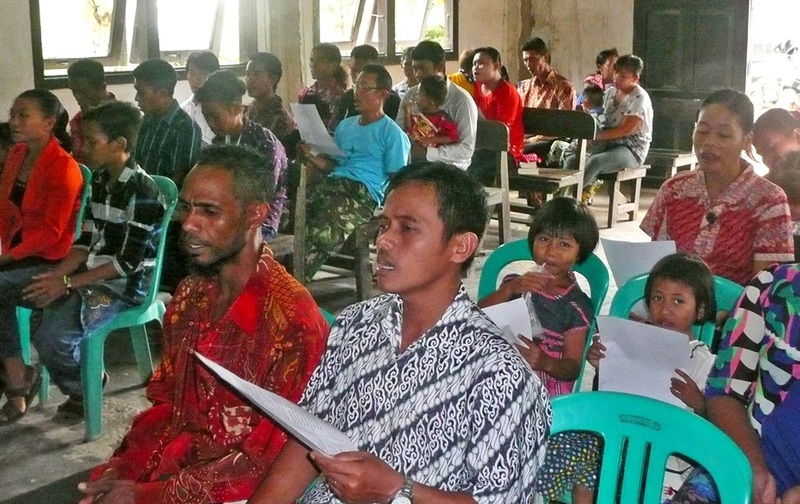 FMI supported church in Indonesia. 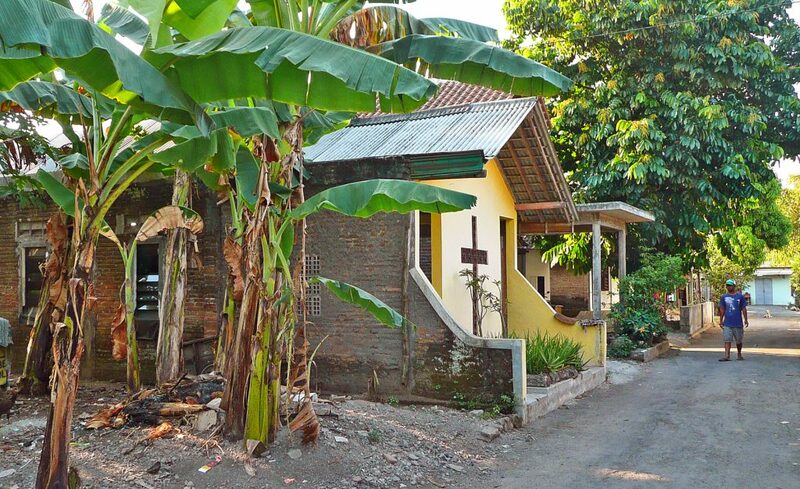 Another example of how things have been heating up against Christians is a story from an FMI Indonesian pastor. Pastor Katon’s church rents their building from a Muslim. In the past, they have had no problems with their landlord. However, radical Muslims have been pressuring the landlord to stop renting to the Christians when the lease concludes. This landlord has been told by the radicals that he is considered a collaborator for renting to the Christians. Allen says the radicals have gone as far as to threaten the landlord’s life with promises of misery. “We see two things at play. One, the persecution directly against Christians, [and] the other is against other Muslims who are seen as collaborators with the Christians who allow Christian ministry to flourish. So, we need to pray for not just the Christians, but for the whole society there,” Allen says. Continue praying for Christians living in Indonesia. Ask God to continue giving them courage, perseverance, and resilience in their faith and their work. Pray for these Christians creativity in how they engage people with the Gospel. Another way to help is by financially supporting a pastor or church planter with FMI. Learn more about supporting a pastor or church planter here! *Open Doors USA’s World Watch List is a ranking of the most severe countries for a Christian to live. Find the 2019 World Watch List here. Header photo courtesy of FMI.